I like how the other ghost is hiding in horror. 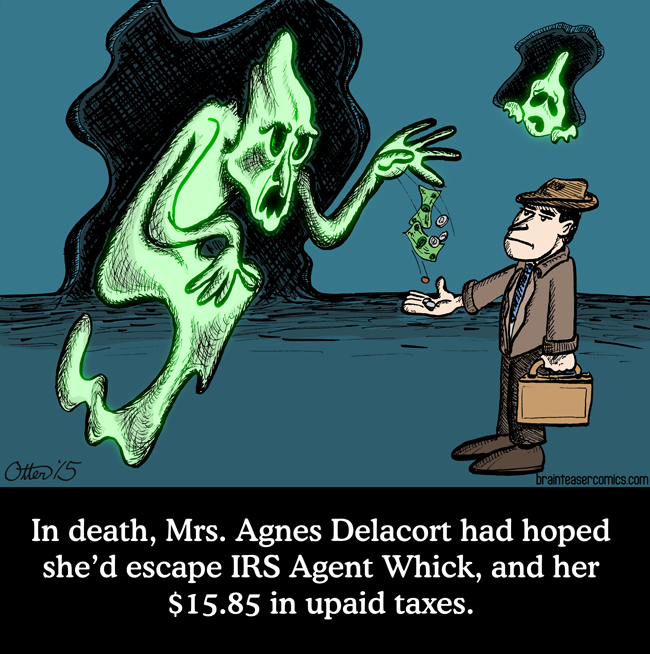 IRS agents are ghosts to ghosts! Yes, he rounded down to the nearest dollar when he paid his 1961 tax bill.